What is it: Assessment and reading tutoring provided by master's students. Who is it for: K – 12 students who are struggling readers. What is it: Individual instruction focused on individual needs provided by undergraduate students. Who is it for: K – 5 students who are struggling readers. What is it: Focused instruction targeting student’s needs provided by certified reading specialists. Who is it for: K – 12 students reading below grade level. 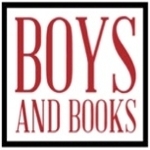 What is it: Book club format designed to engage boys in reading provided by a male graduate assistant. Who is it for: 4th through 6th grade boys who are reluctant readers.